After reading the valuable contributions posted on the Meta Listserver, and listening to the many enlightening and often inspiring presentations at the New York concurrent State of the World 2000 and Future Visions meetings, I suggest the following as important issues that should be taken up, and could form the basis of interlinked research and action programs. A. Foundational Issues: Image, Reality, and Integral Visions. 1. Ontology and Epistemology: Relations of Image and Reality. 2. Reductionism, emergent order, and implications. 5. Ethics and values in public policy and technological practice. 6. Well-being (Quality of Life) Indices for Society, and their use. 9. Ways of handling divergence of opinion in religion and ethics. 10. Issues of hope and reality. 11. Creation of an ever-widening informed community of concern. 12. Implementation projects: action research and demonstration. I discuss each of these themes below. Then in Section E I present an ambitious overall project proposal to take this further, in the spirit of what was requested by the organisers of the Future Visions conference. The issues raised in this section are foundational issues, but nevertheless are important for practical life in general and in particular for global development, for they shape the way we see ourselves and our destiny. In particular, they underlie the moral positions we take, which then shape our policy decisions. 1: Ontology and Epistemology: Relations of Image and Reality. The nature of things is not obvious – we have had to work very hard to establish the nature of chemistry, electromagnetism, quantum theory, etc. Thus we may talk of the hidden nature of the universe. Science gives us a way of exploring one aspect of reality – its underlying mechanisms. Daily life brings us in contact with many other aspects of reality – ethics, aesthetics, sport, politics, art, economics, personal relationships, etc. These are also not obvious. 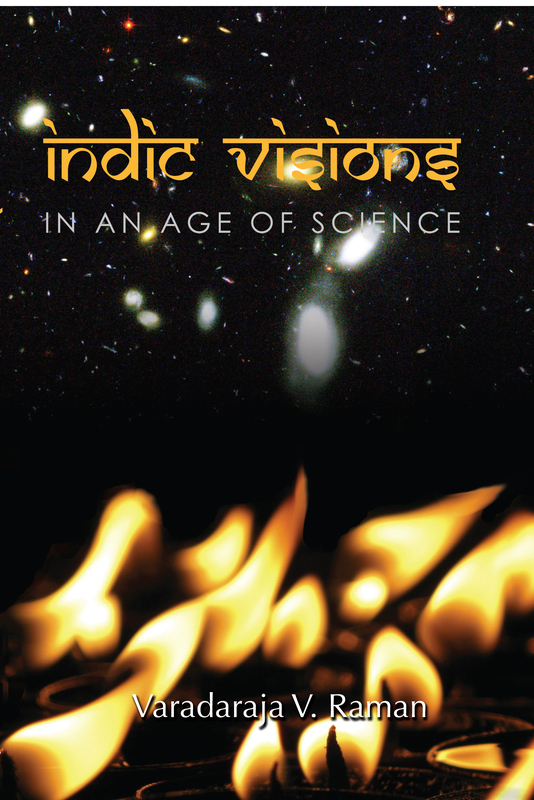 Together these avenues of enquiry provide data on the nature of the universe – on what exists. But our abilities to understand the essential nature of things is strictly limited, for it is bounded by our sensing abilities, and in particular on the one hand by limitations in our ability to interact with other entities on different time, space, and energy scales, and on the other by limitations in our ability to communicate with and empathise with other people and other sentient beings. We can extend these limits by developing greater sensitivity and by constructing detecting and measuring instruments that probe things in ever greater detail, but nevertheless there are always, at each epoch, limits to what we can sense or detect and measure, and additionally there are fundamental limits to what we will ever be able to measure regardless of what instruments we construct in the future. This is strongly related to the nature of selection effects underlying our observations, which determine what we detect, and hence what we pay attention to. Additionally, we necessarily use simplified models to represent the complexity of what is: we focus attention on some subset of what there is, because we simply cannot cope conceptually or in informational terms with the full complexity of reality. We can only measure and record representations of a small part of the total complex reality, for that is all that is practicable (remember that there are 3×10^23 molecules per gram of hydrogen, 10^13 cells in a human body, 10^11 neurons in the brain, and 10^11 stars in a galaxy). In the light of these problems, there is a tendency to solve the issue of existence either by (i) confusing ontology and epistemology, indeed in many cases essentially identifying them, in particular by confusing our highly simplified models with reality, and/or by (ii) denying the existence, or at least importance, to major aspects of reality and the related data. The underlying problem here arises because each of us becomes an expert in some part or aspect of the whole that is particularly congenial to us (we are sociologists, economists, evolutionary psychologists, astronomers, quantum physicists, literary critics, artists, etc). We then face the temptation of stating that this aspect is all that there is, or at least is all that is important, and then suppressing or ignoring contrary data. But each of these aspects in fact gives a window on only some aspect of reality, which when taken together provide a much fuller vision of what is than any single avenue of investigation (one can of course have intellectual fun by denying this – but that is not a fruitful approach to a theory of nature that is relevant to actually living one’s life). Thus when considered as a whole, they more fully illuminate the nature of reality, each providing light from its own viewpoint, but necessarily even this totality of views and data must leave some of aspects of reality unrevealed. a: What is the nature of the different kinds of ontology we should recognise? What are different levels of meaning and kinds of reality? c.f. Popper and Eccles , Penrose , and my talk at the Future Visions meeting  relating material reality to other aspects of reality that must be recognised if one is to have a complete causal model for the material universe. b: To what degree can we determine each of these aspects of reality from the limited information and images we can have of it? This is based on investigating the relation between being (ontology) and appearance, cf. 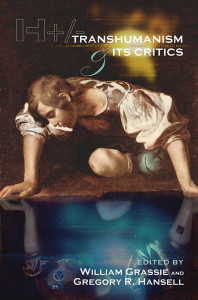 for example, Plato and the cave; artistic studies on light, shadow, and perspective; Arthur Eddington’s discussion of the physical structure and appearance of a table; relativity theory and the observer dependence of measurements; quantum theory and its relation to measurements; and measurement issues in astronomy and cosmology, in particular the issues of dark matter and cosmological horizons, and the wavelength-dependence of images. c: How does this analysis relate to the issue of religious and ethical plurality, and the multiple spiritual views of the nature of things? Can it support the view that the difference between various religions can be considered as being caused by different views of the same underlying reality?, cf. Paden , Hick , Race , Butler  for example. One particular issue here that needs further exploration is the tension in this regard between the theistic and non-theistic world-views. Given the hierarchical structuring of reality, one of the most pervasive methods of analysis is reductionism – cutting the whole into its constituent parts, understanding them, and then using this understanding of the parts to understand the whole (in very few cases can one actually realise this hope: in most cases it is an ‘in principle’ rather than actual solution). There are different kinds of reductionism, but they all aim essentially to explain the behaviour of higher levels in the hierarchy of structure in terms of a description of its lower level constituent components and their behaviour. d: What is the physical basis of emergent order and meaning at each level of the hierarchy? Morowitz  identifies the Pauli principle at the physics-chemistry interface, and suggests there are similar foundational principles occurring at the higher level interfaces. Schweber  identifies the renormalization group as playing a crucial role in the higher levels having phenomenological behaviour independent of the lower levels. Fundamental issues arise concerning the arrow of time and nature of entropy, which is associated with the ‘coarse graining’ occurring when one looks at the higher level structure of a physical system, ignoring the lower level details . e: What is a convincing philosophical position regarding reductionism and emergent order? Various people identify ‘supervenience’ as the key idea allowing meaningful independent status and phenomenology to the higher levels . Does this do the job? What about ‘top-down causation’? f: Consistency issues. What kind of limits are imposed on the higher level structures by those at lower levels? They seem largely independent but are not totally so, e.g. energy conservation at higher levels is a consequence of energy conservation at lower levels. Can one characterise more clearly the degree of dependence/independence of the different levels of structure, and the consistency relations between them? All these issues need to be considered in the case of the physical sciences, the biological sciences in general, and the human and social sciences in particular (for that is where the most important philosophical issues arise; in particular, in relation to the issue of free will). The further issue is, having attained this kind of view of emergence, ontology, and epistemology, based both in scientific understanding and in an appreciation of broader human experience, including spiritual experience, how to help obtain an integral view of the universe both in analytic terms (understanding the whole) and in existential terms (appreciating it in an integral way ), allowing one both an intellectual comprehension and also the feeling of wonder, awe, and mystery that is rightly appropriate in view of the quality of Nature and the always unavoidable mystery about its existential foundations . The requirement is a viewpoint that is rigorous in its intellectual nature, taking the evidence very seriously, yet is caring and full of heart and soul, but avoiding fundamentalist positions on the one hand and flabby positions on the other. g: Developing and sharing integral visions: how can one develop effective holistic overall scientific world views including astronomy ands cosmology, atomic and particle physics, chemistry and biochemistry, physiology and ecology, that assigns each level its own meaning, taking each science seriously in its own right, and yet takes fully into cognizance bottom-up and top-down relations, placing that understanding in its larger context of the hierarchy of structure and causation? In what way can this be extended to include human sciences and the arts, then extending through to ethics and metaphysics and so incorporating fundamentally important values and their relation to practice? How can this kind of view help understanding the past and planning effectively for the future? This is an issue of visioning the past, present, and possible future states each as an integral whole, on the one hand taking into account present best-state understandings of science, in particular cosmology, relativity theory, quantum theory, particle physics, molecular biology, developmental biology, evolutionary theory, and consciousness studies, and on the other of human and social issues and technology, including in particular the way ethical issues necessarily play a central role in this broader vision. The question is how to help professionals on the one hand, and the broader public on the other, relate to and experience this kind of holistic vision, both in analytic and in experiential terms. A useful project can pursue this issue. h: Educational standards, methods, and materials: underlying this is the issue of what people need to know in order to achieve a good understanding of this kind of holistic view and integral vision. This requires knowing substantial factual information about the world and the universe, as well as generic principles (see for example Hirsch  on why, in order to obtain proper understanding, knowledge of many factual issues is needed as well development of generic and specific skills and understanding of broad general principles). Interesting work has been done on what everyone should know in science , and this has been formalised in a set of National Science Education Standards . A useful project would be to extend those standards to those required in order to appreciate an integral view such as is proposed here. The further step then would be developing educational materials that would make this all accessible to ordinary people, as well as to experts highly trained in specific areas, testing those materials against the chosen Integral Vision Standards. Many issues arise regarding sustainability and the ‘footprint’ left on the earth by humanity. They have been widely debated and are the subject of major research programs and reports , so while international programs in this area are essential, they are to a considerable degree already taking place, and there is no need to duplicate discussion of them here; their importance will be taken for granted. There are however three specific issues I would like to identify that are not so often discussed in this debate, and which could merit special attention. They will need to be informed by and take cognisance of the wider debate. 4. Inquiry re progress in global ethics and practice in the last millenia. An important issue arising in evolutionary history is whether there has been ‘progress’ in some sense, and this has been hotly debated. In terms of human history a related very important issue is whether there has been progress in ethical terms in the course of the last few thousand years. At a first glance the evidence seems strongly negative: there seem to be more and more crime, wars, etc. nowadays. However this perception may well be related to improving global communication and reporting, and resultant change in selection effects for what comes to our attention (many more incidents are globally reported than happened in the past) rather than a real increase in conflict. A bit of reflection will then suggest that things may indeed have improved dramatically in the past century. Three bits of evidence in this regard: firstly, one can evidence that human rights have improved greatly in that, for example, states no longer include torture or burning to death as part of the legal system. Second, one can estimate the number of people involved in wars on an annual basis, and then normalise this relative to the global population at each time. It can be suggested that the number involved in wars has been more or less constant since the end of the 2nd world war, but the population has been growing exponentially. If so, the fraction of the population involved in wars has been dropping rapidly. Third, it can be claimed that there has been a global wave of democratisation and spread of human rights concepts in the same period (not necessarily adequately expressed yet in behaviour, but at least usually expressed in lip service to these concepts – that is, the norms have changed dramatically since the 1930’s). In particular, the status of women has improved greatly in many countries in this time. a: Investigate data on (i) deadly conflict, (ii) democratic practice and declarations of intent, (iii) human rights practice and declarations of intent, during the past 2000 years, and determine to what extent there is evidence for or against some degree of global improvement in this regard during this time. It was striking at the State of the World Forum how speaker after speaker in their various ways emphasised the need for explicit value systems to be introduced into decision making at the national and international level. One example of this is the Earth Charter initiative , a growing global movement aimed at making explicit the kinds of approaches and values that are essential in order to support sustainable policies in the future through building up world-wide support for an Earth Charter setting out principles for 1. Respect and Care for Community Life, 2. Ecological Integrity, 3. Social and economic Justice, and 4. Democracy, Non-violence, and Peace. It is clear that this kind of ethical base is the bed-rock feature without which our global policy will fail, because it is ethical choices (explicit or implicit) that shape the direction within which all other choices are made. The same is true at the local level. b: Values, public policy, and technological practice: to investigate (i) the degree to which values are either explicitly or implicitly incorporated in public policy, particularly economic and technological policy, and (ii) the degree to which these values are reflected in policy implementation. This will lead to (iii) specific recommendations on how the situation can be improved . c: The humanity of technology: Investigate the degree to which technology is designed to adapt to people and environment as against the degree to which they are expected to adapt to technology . Particularly important here is the user interface of electronic equipment, often extremely badly designed, and specifically the human-computer interface. Bad design of this interface, conceived in the broadest terms, is one of the main reasons that computers are often so ineffective in practice . This issue will take on particular importance as computers are more widely used in developmental projects in the third world context. Well-tested proposals for improving this interface in these contexts will be particularly important. This comes under the rubric of ‘ethics’ because in the end, the kind of design that is machine-based rather than user-based is a result of a set of values that do not place primacy on the user community’s needs. The nature of our policy interventions in the world internationally, nationally, and locally depends critically on the indicators of the state of the world and of society that are used . These have often been mainly of an economic nature. More recently it has been realised that a much wider set of concerns need to be taken into account, and correspondingly increasing effort has been put into indicator systems that will reveal more accurately the state of the system and the well-being of those in it, either in a formalised system of indicators with explicit underlying models, such as the Calvert-Henderson Quality of Life Indicator system recently published , see also Global Challenges for Humanity , or in broad-ranging but less structured assemblages of indicators . The issues raised are, Who is suffering? Who benefits? What are the dimensions of poverty and well-being?, and also, What is the state of the environment? Is the policy sustainable? The indicators used to answer such questions are key, for they focus our attention on specific aspects of the system, and suggest to us specific remedial measures, which then become policy options. d: Development of suitable Quality of Life indices and implementation of their usage. While much has been done, see for example the references in the Calvert-Henderson report, there is still not in use a suitable indicator system based on an appropriately broad systems model that can both be used at any of the needed scales (local, national, or international) and for any of the welfare subsystems (health, education, safety, etc). However the basis for such a system exists for example in the Ellis-Erlank systems model , based on carefully characterising the societal feedback system by which communities attempt to attain their desired goals, which could be developed into an appropriate well-founded and practical indicator system when adapted suitably to each of these contexts, setting the Calvert-Henderson and Global Challenges for Humanity proposals on more secure and systematic foundations. Whether that specific foundation is used or not, the need is for a systematic, systems based approach to indicators, including models of the resource allocation system in society, and its practical development. In doing so the conceptual foundation needs to be clearly linked into Sen’s important work on Capabilities ; the Ellis-Erlank model should provide a transparent environment in which his concepts can be given specific form. When such a systematic approach has been developed, the proposal needs implementation in trial projects at all three geographic levels, and then introduction as a serious monitoring system – perhaps in conjunction with the Earth Charter initiative, for it could provide a way of concretising the goals set out in that initiative. e: Extension to Model of Group – Environment interaction. A crucial issue is the tension between environment desiderata and human needs. Both aspects must be taken seriously , both in terms of inevitable costs of any development that provides a living habitat or industrial opportunities, and in terms of recognition of human role in shaping the environment (there is no longer any ‘natural’ environment we can hope to return to). Thus there is a trade-off between the needs for economic development and environmental well-being; nevertheless sustainability remains an essential goal, and creative policy can go a long way towards minimising the cost of economic development, which can never be zero, because of the 2nd Law of Thermodynamics. 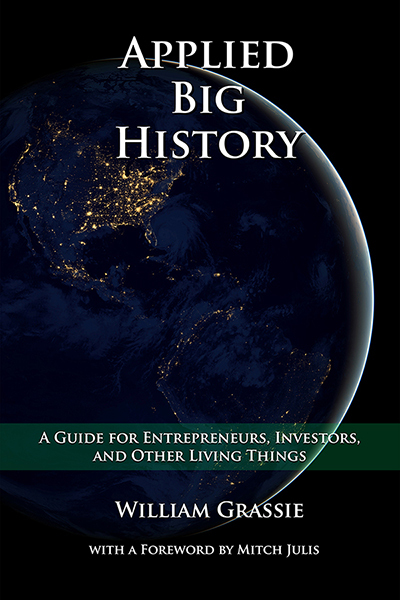 The kind of creative initiatives that are needed are presented in Natural Capitalism , giving Amory and Hunter Lovins’ views of a technologically and environmentally sound future, demonstrated in practice on their farm in the Rocky Mountains. The need here is to link the quality of life indicator system to a good systems model of the human interaction with the environment. f: Extension to values: indices of acceptability of the underlying philosophical/ ethical position. As in many other cases, the Ellis-Erlank proposal as developed so far deliberately refrains from judging the goals of the society considered, rather being designed to reflect the degree to which they are able to attain whatever goals they may have chosen for themselves. However as has been commented above, this is no longer adequate: policy goals are crucial and must be ethically adequate, hence there is a need for an indicator system that can model this aspect and assign quality ratings to the set of goals chosen and hence to the underlying ethical position. An extension of the Ellis-Erlank model (based on a feedback system in which the chosen goals form an essential component, and hence can be explicitly characterised) should make this possible; any alternative system that may be adequate should also be considered. A: Individual/group issues – quality of individual human rights. B: Group/group issues: racism, genderism etc – group human rights, justice, and peace themes. C: Group/environment issues – degree to which this interaction is synergistic or antagonistic. D: Theory/praxis relation – degree to which the underlying values are reflected in practice, raising issues of responsibility, accountability, and honesty, and consistency of means used with proclaimed ends. E: Humility and openness issues – degree of openness to the evidence as to the real situation. F: Integration: depth and breadth of vision and understanding embodied in a realistic way. Enhancing the indicator system in this way will involve taking a specific ethical stance that endorses these kinds of goals, and makes them the basis of the indicator system and hence of public policy. The basis of sound practice is an explicit ethical stance. What is needed here is exploration of ways of enhancing ethical foundations and practice, taking into account particularly the strength it can be given by some kind of spiritual or religious foundation, but not excluding other foundations if they can be shown to have the required strength. The crucial feature that has allowed science its great success is its strict process of discernment of what is valid and what is not, in the scientific domain (by means of experimental testing of proposed hypotheses, as embodied in the ‘scientific method’). One can argue that the same is needed as the foundation of well-based religious and ethical positions, and indeed such a search for tests of authenticity has always been an essential need in religious and moral life . a: Discernment in ethics, religion, and spirituality: analysis and practical development of processes of discernment aiming to separate out true and false in ethics, metaphysics, and religion. Of course this is a tall order, but the need is essential. The point here is that religious history is a very sorry story in many ways, with practice often reflecting the diametric opposite of the claimed values of religious communities (I cite as conclusive proof, the Inquisition, the conquest of Mexico, and the burning of ‘heretics’ in England). Such a process of discernment, based on appropriate criteria, is essential in order to enable adoption of some specific religious and ethical positions to the exclusion of others. Without such a process, all religion is tainted by the unacceptable. b: Issues of kenosis and forgiveness in all the major world religions and in practice. There are already some useful investigations of the existence of kenotic strands in all the major world religions , but the further need is for an examination by scholars who come from deep within each faith tradition of their understanding of these issues and their recommended practice in this regard. I am confident that a workshop on this topic with suitable participants – for example, including those named above – will come up with a marvelous confirmation of this deep underlying unity between the faiths, when each is rightly understood at a deep level. Further work would deeply investigate how each faith understood kenosis, and made a reality of its transformational nature in personal and in public life, fully taking into account real world issues, and in particular building on the work of Gandhi and Martin Luther King. This study would also examine the problems with the idea raised by feminist theologians, and consider ways of broadening the concept and relating it to their concerns. 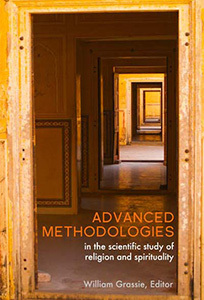 On a theoretical level it would aim to relate the idea to the various social sciences, with explicit consideration of their ethical bases and assumptions , and consider whether there are suitable criteria that might determine when such an approach was appropriate or not in dealing with public violence. The process of discernment and selection does not mean that inter-faith dialogue is impossible, for indeed, as just emphasised, it can be expected that some branches of each major religious tradition will fall inside the ‘acceptable’ category, and some will fall outside. Indeed inter-faith dialogue may well be enhanced by this realisation: there is a common strand of ethical understanding and agreement across the faiths. c: How to work together in a unity despite differences? Attitudinal and organisational issues. To make a reality of such inter-faith dialogue and co-operation will require a kenotic attitude on at least one side, hopefully leading eventually to such an approach on both sides. Specific organisational methods can help defuse some of the tensions that will inevitably arise. Developing this kind of unity will benefit from the understandings developed under Section A, and will lead in to the possibility of sound co-operation as needed to make a reality of the aims of Section B on a global scale, when all faiths will be involved. It will feed into and benefit from the experiences arising out of the actions suggested in Section D. It is therefore an important pivotal point in relating the overall themes considered here, to real-world practice. The traditional great three virtues are Faith, Hope, and Charity ( = Love); the one which often receives least attention is Hope. But this is an essential element in real-world policy situations. In many cases the situation seems hopeless, and giving up seems a sensible option; however if one has faith and hangs on, keeping on doing what is needed despite the desperateness of the situation, miraculous events can occur and transform the situation, particularly if one is engaged in a kenotic form of action. This is a tension in any future vision: the balance between hope and ‘reality’. Related to this is the tension between principle and compromise: when should one hang on to one’s principles whatever the outcome, and when compromise to attain a best-practicable outcome that falls very short of what one hoped for? d: How does one best handle the tension between hope and realism in policy making? Without the element of hope, of adopting a seemingly outrageously optimistic policy despite the odds, we will achieve little. How can we best decide when to act in this way, and when not to do so? In the end, this will be tied in to the element of faith; but what is practicable in terms of public policy choices? Case studies of for example, Martin Luther King’s despair turning to a firm resolution to continue at a critical stage of his work, the South African transition in 1994, and Winston Churchill’s leadership role in England in the period 1939-1940 when victory looked unattainable, will usefully inform this discussion. There is a kenotic element here as well – giving up reliance on one’s intellectual understanding of the limits inherent in the situation, and having such faith in the possible positive outcome of the situation that one makes it happen. At the personal level, this relates to many issues in the relation between faith and health. This could eventually be a major direction of development of this strand. Finally, these theoretical discussions need to be imbedded in and informed by two kinds of practical action. a: Engage in intentional processes to support and help flourish and grow the international community that takes these issues seriously, and is committed to developing them in theory and in action. This action can take many forms – meetings, discussion circles, joint action projects, newsletters, etc. It must emphasize certain features: the need for values-based leadership  and action , based on realistic values, as for example set out in the Earth Charter , with an underlying ethic motivating the whole that avoids derogatory attitudes towards opponents as well as the extremes of behavior where the means deny the stated goals; and with an openness to the possibility of an underlying spiritual/transcendent reality. In brief, it should be a community in line with broad kind of integral vision promoted in this document. Its real-world application will depend on use of adequate Indicators, as discussed above, and recognition of the issues of complexity facing us, demanding complex systems analysis  and encouraging and developing a multi-dimensional integral view in analyzing social and organizational problems. b: Local action programs: For example involvement in local Grameen Bank type initiatives in poor areas, or local environmental initiatives such as those of Amory and Hunter Lovins. These do not have to be large scale projects, but they should demonstrate a real involvement with developmental issues at the local level. The experience attained in these projects will feed in to the philosophy and understanding of the overall project; on the other hand, that understanding will feed into and help shape these action projects. This is the essence of action research, forming the live link between theory and praxis that is essential for each to have vitality and a solid grounded quality. Living and acting in accord with this overall view, aiming to create a community embodying this vision. An action arm that would be engaged in applications and so testing the theories in action. Resources needed: There is a less ambitious, a more ambitious, and a least ambitious option, as follows. 7Infrastructure: Rent or buy building or other premises, furniture; Library, computers and network links. Note 2: To make the project work one would need initial guaranteed funding for 5 years so that one can offer positions for that length of time to the core team. If the project succeeds as it should, the case for further continuation of funding will be overwhelming. If it does not succeed, it should be closed down at that point. Location: It should be near some groups of similar interests, and with good access to major international organizations such as those centered in New York and London. Costs will depend on this location choice. Possibilities include USA (perhaps near Haverford or Swarthmore, or associated with Emory University for example) or UK (Oxford, Cambridge, or some more rural setting). Clearly as time went on one would envisage a network of such centers developing. Significant issues would arise as to how they might relate to each other, and what kind of qualities might be required in order to accredit some other institution as belonging to a network of such institutes. Option C: Institute at a distance. Here one would appoint people to membership of the institute but not locate them at a central facility. Rather they would interact in the main via email and internet while being based at their separate institutions, which would second them to the Institute, and would arrange regular (quarterly?) meetings for staff to discuss issues in depth. This might work out effectively and enable considerable networking into other organisations, while saving some expense; but its logistics and practice would need careful consideration. Cautionary Note 1: Both on the theory and action side, the group will subjected to considerable pressure to move outside its own vision to include others (particularly, to adopt soft science and/or soft religious positions). Its success will depend on a strong integrity and insistence on maintaining intellectual and analytic standards while wide issues are embraced, but at the same time not losing sight of the bold overall image and vanishing into sterile academic disputes. It will need to be cognisant of each major alternative view and try to understand and even empathise with their basis, and be open to learning from what they have to offer, but without giving up its own essential core position and values. Cautionary Note 2: Many will be skeptical that such an Institute can be made to usefully function, describing it as extremely over-ambitious in its intention and ambit. But that is precisely the point: our world has become victim of centrifugal tendencies that have split understanding into unrelated academic specialities, whereas it is understanding of the whole that is in the end the essential need . Creation of the Centre will be an act of faith, hoping to demonstrate that it is indeed possible to have a practical integral vision that is not soft or vague in its understanding and proposals. It will be able to attain much of what is set out here if it sets up suitable alliances with other groups, many of whom will be experts in the various areas of interest. Such alliances will allow full utilisation of such expertise. Cautionary Note 3: Issues of values will be crucial. Those taking part will have to be clearly devoted to the broad set of values set out in the above vision, and indeed should be asked to subscribe to some kind of mission statement setting out those values. This does not mean that they will be expected to subscribe to any particular metaphysical or religious position, but it does mean that they will have to be open to the fundamental metaphysical uncertainty facing us, and willing to allow a value to some kinds of spiritual or religious positions, even if they themselves do not subscribe to any such position. 2. R Penrose: Shadows of the Mind (Oxford University Press, Oxford. 1994), section 8.7; The Large, the Small and the Human Mind (Cambridge University Press, Cambridge, 1999). 3. G F R Ellis: `Does the universe have a moral nature?’ Future Visions meeting, New York (2000), and see paper for Vatican/CTNS meeting on quantum physics (2000); to appear, proceedings, Ed. R Russell. 4. W E Paden: Interpreting the Sacred. (Beacon Press, Boston 1992).5. J Hick: The Fifth Dimension: An Exploration of the Spiritual Realm. Oneworld, Oxford, 1999). 6. A Race. Christians anmd Religious Pluralism. (SCM Press, 1993). 7. B and T Butler: Just Spirituality in a World of Faiths. (Mowbray, 1996). 8. For example, N A Campbell: Biology (Benjamin Cummings, Redwood City. 1990); J H Holland: Emergence: From Chaos to Order (Perseus Press, 1999). 9. For example, A Peacocke, Theology for a Scientific Age: Being and becoming – Natural and Divine (SCM Press, London, 1993); A Peacocke, N Murphy, and G Ellis in R J Russell et al (ed), Chaos and Complexity, Vatican/ CTNS series of books (Ed R Russell et al). 711. R Ackoff, talk at the State of the World Forum; “From Mechanistic to Social Thinking” (Pegasus, 1996); Ackoff’s Best: His Classic Writings in Management (Wiley and Sons, 1999). 12. H J Morowitz, talk at the Future Visions Meeting. 13. Sylvan Schweber: `Physics, Community, and the Crisis in Physical Theory’. Physics Today, November 1993, 34-40. 14 See e.g. R Penrose: The Emperor’s New Mind. (Oxford University Press, 1989). 15. See e.g. N Murphy, in Neuroscience and the Person, Ed R J Russell et al (Vatican Observatory/CTNS series), and references therein. 16. Attempted in an interesting way by Brian Swimme in The Hidden Heart of the Cosmos (Orbis Books, 1996). 17. T Hanh, The Miracle of Mindfulness (Rider/Random House, 1991).18. W Teasdale, “Towards an Integral Vision”. Future Visions Position Paper # 004. 19. See G F R Ellis, Before the Beginning. (Bowerdean/Boyars, 1993), and N Murphy and G F R Ellis: On the Moral Nature of the Universe. (Fortress Press, Minneapolis. 1997), for one particular view. An opposing integral view is given in E O Wilson’s book Consilience (A Knopf, 1998), criticised heavily, for example, in W. Berry: Life is a Miracle (Counterpoint, 2000). 20. E D Hirsch: Cultural Literacy: What every American needs to know (Vintage Books, 1988). 21. F J Rutherford and A Ahlgren: Science for all Americans. (Oxford University Press, New York, 1990). 22. National Research Council: National Science Education Standards (National Academy Press, 1996). 23. Many talks at the State of the World meeting, and see e.g. 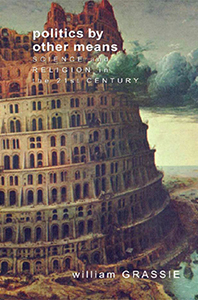 “Key Technologies for the 21st Century”, Scientific American Special Issue (W Freeman, 1996); P Hawken, A Lovins, and H Lovins, Natural Capital: Creating the next Industrial Revolution (Little Brown and Co: 1999); The Transition to Sustainability: A Statement of the World’s Scientific Academies (May 2000); World Bank, Entering the 21st Century: World Development Report. (Oxford University Press, 2000). 25. For an example of a values-based analysis of current public policy, see G F R Ellis: South Africa: The complex of problems (preprint, 2000). 26. For a brilliant general exposition, see D A Norman: The Design of Everyday Things (1990). 27. R Landauer: The trouble with computers: Usefulness, Usability, and Productivity. (MIT Press, 1995). 28. Stated for example by Joe Firmage at the Future Visions meeting. 29. H Henderson, J Lickerman, and P Flynn (Ed), Calvert-Henderson Quality of Life Indicators: a New Tool for Assessing National Trends (Calvert Group, 2000). The indicators cover Education; Employment; Energy; Environment; Health; Human Rights; Income; Infrastructure; National Security; Public Safety; Re-Creation; and Shelter. 30. American Council for the United States University: Global Challenges for Humanity. UN Millennium Summit and Forum Special Edition. (New York, 2000). 31. UNDP, Human Development Report, Oxford University Press (1999). 32. Stafford Beer, Brain of the Firm (Wiley, 1981); R Flood and E Carson, Dealing with Complexity (Plenum Press, 1988); Russell Ackoff, op cit. 33. G F R Ellis and D Erlank: “A quality of life and basic needs measurement system with application to Elsie’s River. ” SALDRU Working Paper No 56 (1983); G F R Ellis: “An overall framework for Quality of Life evaluation schemes, with application to the Ciskei (South Africa)”. In Social Development and the Third World, Ed J G M Hilhorst and M Klatter (Croom Helm, 1985), 63-90; G F R Ellis, “The Dimensions of Poverty”. Social Indicators Research 15, 229-253 (1984). 34. A Sen: Commodities and Capabilities. (Oxford India Paperbacks, 1999). 35. W F Baxter: People or Penguins: The Case for Optimal Pollution. (Columbia University Press, 1974). 38. J Edwards, The Religious Affection (first published 1746; reprinted, The Banner of Truth Trust, 1991); and see the sections on `discernment’ in On the Moral Nature of the Universe, op cit, and in Hicks, op cit..
39. Murphy and Ellis, op cit. 40. Sir John Templeton: Agape Love: A tradition found in eight world religions. (Templeton Press, 1999). 41. See the discussion of these issues in Murphy and Ellis, op cit. 42. T Peters and R H Waterman, In Search of Excellence (Warner Books, 1982), see particularly quote by J M Burns on pages 83-85; Stephen Covey, Principle Centered Leadership (Simon and Schuster, 1992). 44. Earth Charter, op cit. 46. 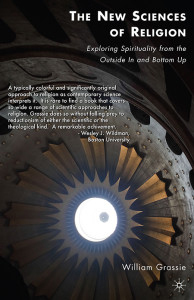 S Toulmin, The Return to Cosmology: Postmodern Science and the Theology of Nature. (Berkeley: University of California Press, 1982); Murphy and Ellis, op cit.